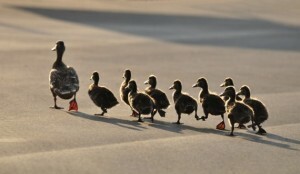 Are you a leader just because you run a small business? No. But you need to be. The role of leadership in business is indisputable. Great leaders create great businesses. Mediocre leaders create mediocre businesses. Without business leadership, a business will circle around aimlessly until it eventually runs out of power. For a business to succeed, effective and active leadership is needed. But what is leadership really? The definition of good leadership in the modern day is much different to the traditional concept of being a directing chief at the top of a hierarchy. More importantly, good leadership requires attitudes and behaviours which characterise and relate to humanity. Good leadership involves serving the organisation and group of people within it. Ineffective leaders tend to invert this principle and view leadership as an opportunity to acquire personal status, advantage and gain at the expense of others. Good leadership is in fact the exact opposite. Good leaders are followed chiefly because people trust and respect them. Gaining the trust and respect of employees in the work place can be easy if approached in the right way. The value of businesses is shown to be higher when decent leadership is in place. To improve business and to move an organisation from a ‘mediocre’ status to one that is ‘great’, an employer should follow these steps and develop the good leadership required for their business to grow and prosper.